You can even seek highly useful pallet suggestion for garden developments and overall gardening! There are lots of projects you can do with pallets for free to create a divine look of your green space! From fencing to garden decking to garden shed building, you can do all with pallet without getting expensive and as far as we are concerned to raise the aesthetic value of your garden, you can select, pallet planters, vertical gardens, pot holder, wall hanging gardens and also garden potting benches! 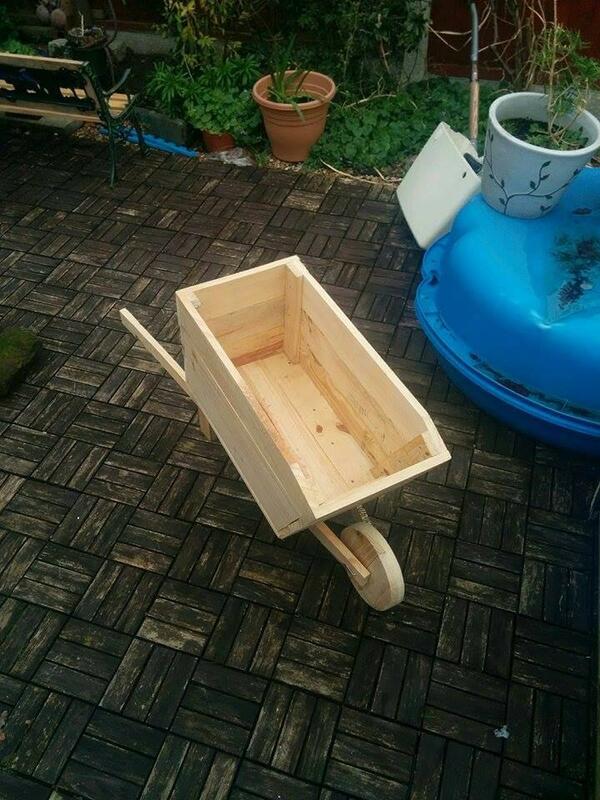 Today we are with this DIY pallet wheelbarrow which can also be employed as a planter at very time of need! 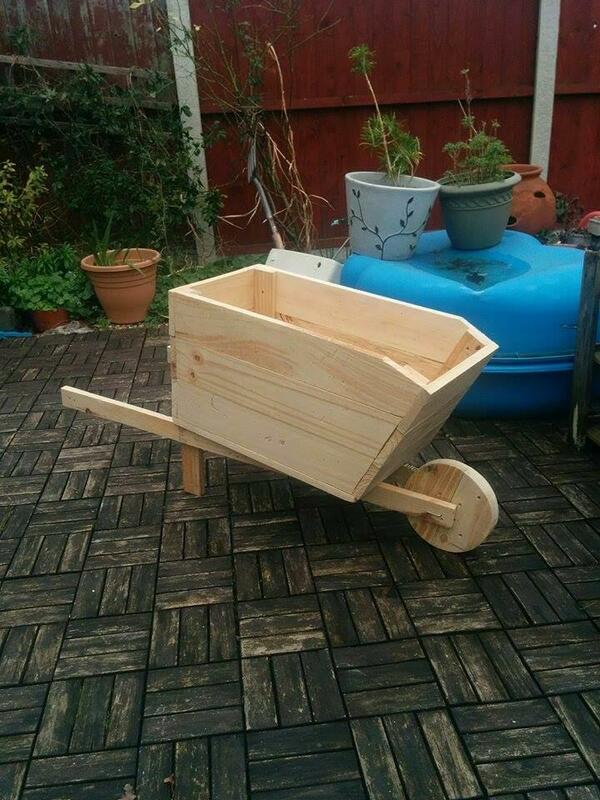 This wheelbarrow is having all components made of pallets from wheels to handles to wooden box and is having a lasting stability! It is most needed item for transportation of garden stuff and garden scrap and would definitely give you a big helping hand! 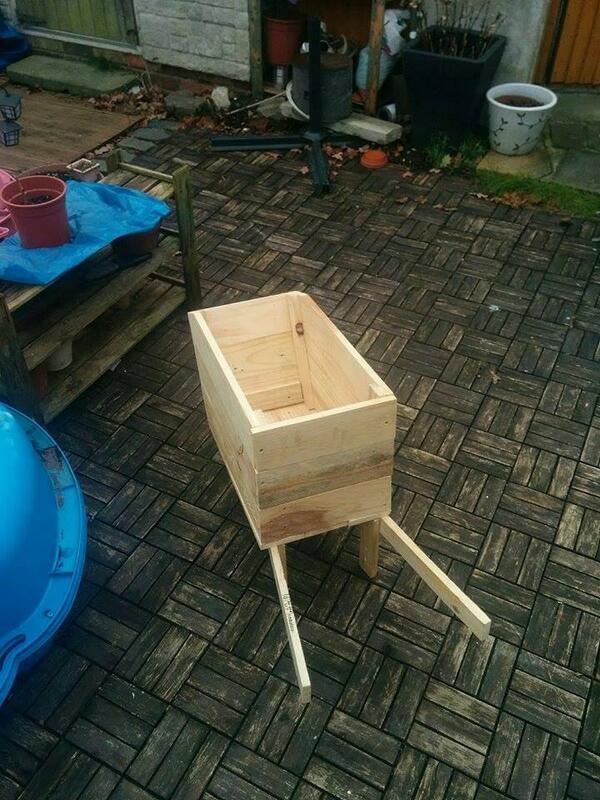 Recycle pallets and get better gardens, ideas are just waiting for your response, Also you can use this as pallet wheelbarrow planter! Built a V-shape by putting together 2 pallet slats and end them with a wheel to create a whole base and handles for this wheelbarrow! 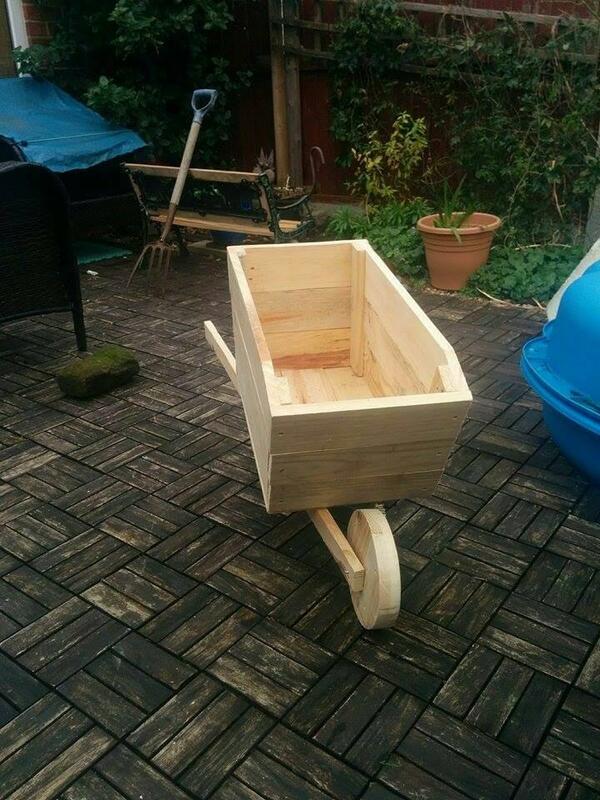 Now make a wooden box out of pallets and put it on the pre-made frame to gain a functional wooden wheelbarrow for transfer of garden items! Scale up the dimensions to gain bigger wheelbarrows and also use this wheelbarrow as a garden planter, it would be then an amazing way to shift the greenery to any of your favorite place! It also comes with 2 shorter but stable wooden legs for easy standing, from using paint to stain , you can do a lot of more things to personalize the appearance of this wheelbarrow, just go with your creative mind!